A Bible’s family tree and an embroidered handkerchief hold the key to understanding the past as six generation Texan, Gracey Reiter, prepares to say goodbye to her dying father, the last surviving member of the Walsh-Mueller family. The present holds the answer and the last opportunity for Gracey to understand her father’s anger, her mother’s guilt, and her siblings’ version of the truth. The Walsh-Mueller family begins in Texas when Patricia Walsh leaves the famine of nineteenth century Ireland, losing her parents and siblings along the way. She finds a home, love, and security with Emil Mueller in a German settlement near Indianola on the Texas Gulf Coast. They begin their lives on a small cotton farm, raising six sons. From the coastal plains of Texas, five generations survive hurricanes, wars, The Great Depression, and life, itself. 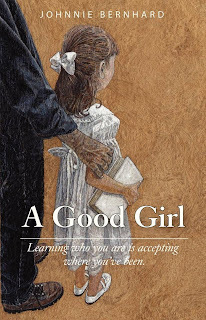 An all-encompassing novel that penetrates the core being of all who read it, A Good Girl pulls back the skin to reveal the raw actualities of life, love and relationships. It is the ageless story of family. Relatable and real, A Good Girl speaks to the heart of what it means to be human and that generations come and go, but love binds us together. A Good Girl is a raw, real, and relatable gift to the soul on every level. Ms. Bernhard’s writing is so descriptive, reading this book is truly a visceral experience. One cannot help but reflect on their own family legacy and life journey. Prepare to be riveted by this heartbreaking, yet healing story about family, self-discovery and learning how to love. A beautiful debut novel across oceans and time, with a clear, objective yet poignant Southern voice. 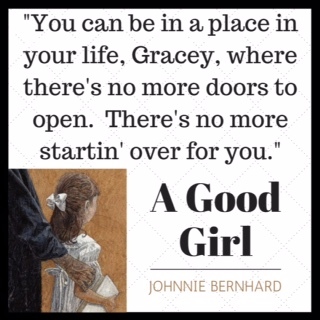 A timeless voice much like Doctorow's Ragtime, A Good Girl is a true Southern American story. A story of one family spanning generations, dealing with love and loss, despair, and redemption, that leaves its readers with a timeless lesson. -Kathryn Brown Ramsperger, Author of The Shores of Our Souls and Moments on the Edge. I have found Johnnie Bernhard's book to touch a powerful chord in my heart. Masterfully written with deep insight into the journey of family and forgiveness, I'm a better person for having read this book. Sales benefit Port Lavaca, Texas! Much of the setting of A Good Girl, a six generation Texas saga, is set in Port Lavaca, Calhoun County. 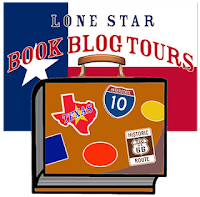 During the Lone Star Book Blog Tour, all author's royalties will be donated to the Calhoun County Museum of Port Lavaca in its recovery effort after Hurricane Harvey. Texas Proud! Port Lavaca Strong! Johnnie Bernhard, a former AP English teacher and journalist, is passionate about reading and writing. Her works have appeared in the following publications: University of Michigan Graduate Studies Publications, Heart of Ann Arbor Magazine, Houston Style Magazine, World Oil Magazine, The Suburban Reporter of Houston, The Mississippi Press, University of South Florida Area Health Education Magazine, the international Word Among Us, Southern Writers Magazine, Gulf Coast Writers Association Anthologies, The Texas Review, and the Cowbird-NPR production on small town America. Her entry, “The Last Mayberry,” received over 7,500 views, nationally and internationally. A Good Girl received top ten finalist recognition in the 2015 William Faulkner-William Wisdom Creative Writing Competition, as well as featured novel for panel discussion at the 2017 Mississippi and Louisiana Book Festivals. It is a finalist in the 2017 national Kindle Book Award for literary fiction and a nominee for the 2018 PEN/Robert W. Bingham Prize. Her second novel, How We Came to Be, is set for publication in spring 2018. It is a finalist in the 2017 Faulkner-Wisdom Competition. Johnnie is the owner of Bernhard Editorial Services, LLC, where she writes book reviews for Southern Literary Review, as well as assists writers in honing their craft. Johnnie and her husband reside in a nineteenth century cottage surrounded by ancient oak trees and a salt water marsh near the Mississippi Sound. 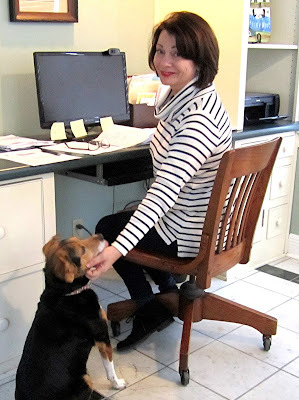 They share that delightful space with their dog, Lily, and cat, Poncho. 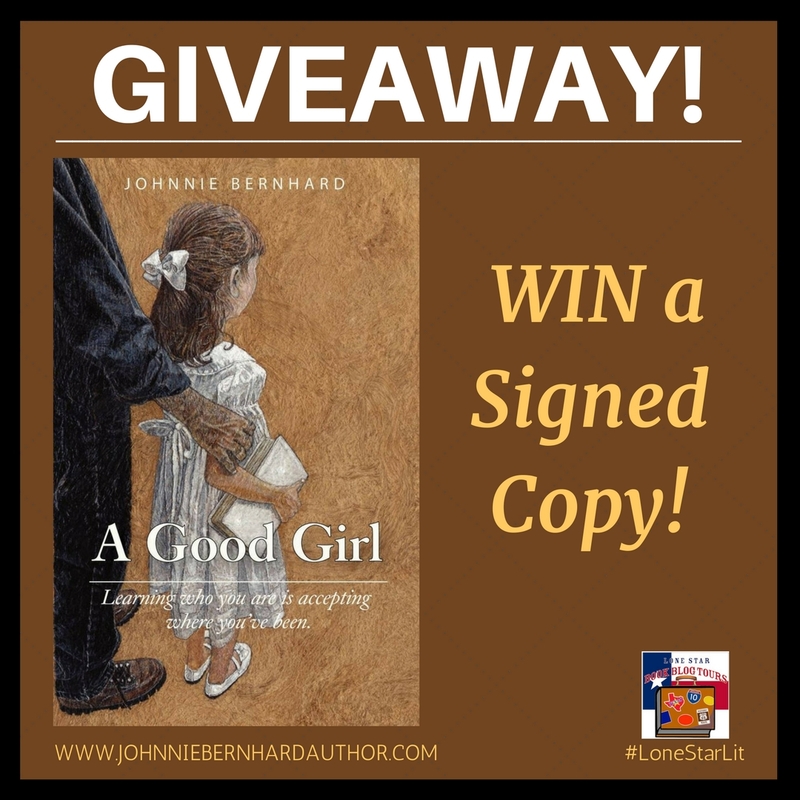 November 13 Live on KSHU Radio 1430 AM, Houston, Texas, 8 a.m.
December 10 Barnes & Noble, New Orleans, noon - 2 p.m.
One lucky winner gets a signed copy!